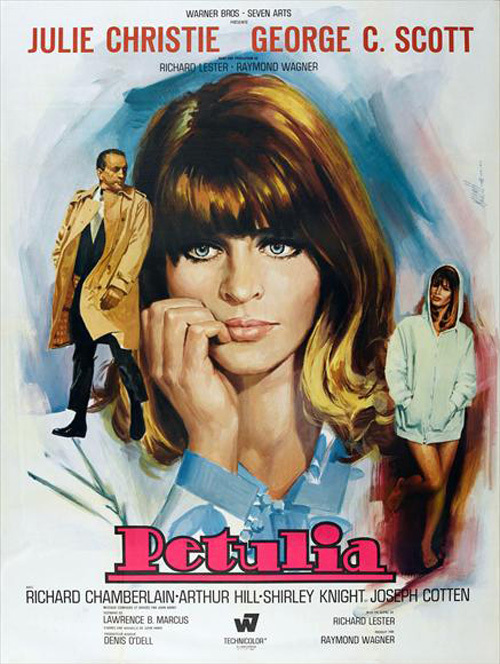 Petulia is a 1968 film starring Julie Christie and George C. Scott. 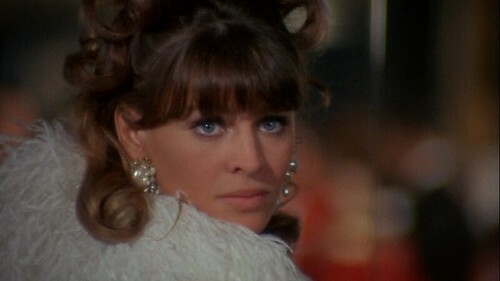 Julie Christie plays Petulia, a sweet neurotic newlywed looking for a fling with doctor George C. Scott. 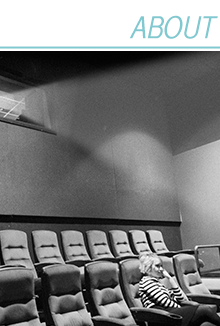 The film is edited so that you only find out the background of each character as the movie goes on, through sporadic flashbacks that happen in the middle of other scenes. It might sound very strange, but it's really one of the most fascinating movies I've seen recently. 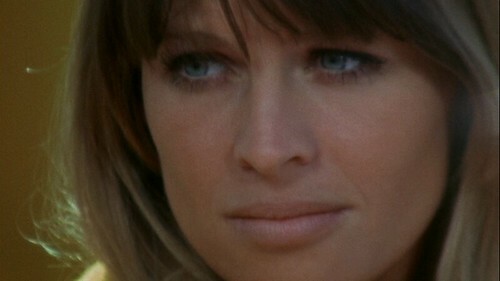 The story was very interesting and it was exceptionally well acted (but that's a given when Julie Christie is the star.) 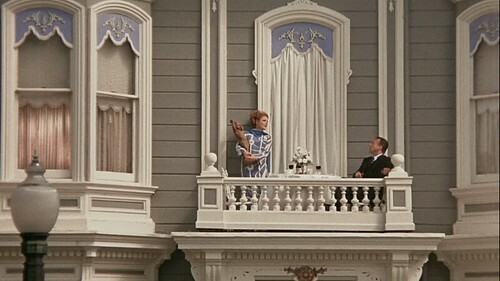 But to me, this was a visual experience that would have been a joy to watch even if it had no plot or dialogue at all. From automated hotels where the lights start blinking when you've reached your room (much like those little light-up discs that are handed out now at restaurants to notify you when your table is ready) to nuns riding in a sports car, to off-center shots which seem more like moving photographs than commercial film. One of my favorite shots is an overhead view of houses lined up in perfect little rows -- reminiscent of one of my favorite post-classic films, Edward Scissorhands. 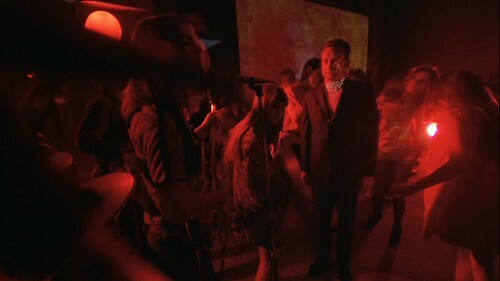 The movie is exceptionally modern, with artistic fade outs that blend George C. Scott's world of medicine and anatomy with party sequences, lava lamp-like imagery and groovy lighting. (Just had to use that word once in this post...) But the film also has a tongue-in-cheek attitude towards cultural advancements, if you could call them that. At the hospital, Scott has to explain to a patient why the television in her room is actually made of cardboard, a placeholder put there in the hopes that it would entice her into renting a real one at a fee. Now, call me superficial but one of my favorite things about Petulia was the fashion. 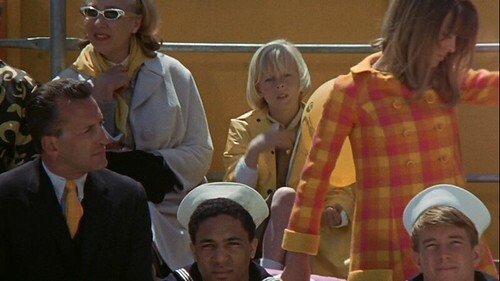 I went a little screen-shot happy on this one, and I think I covered all of her outfits in the film. I also took some shots of the automated hotel & the neat row of houses. For the nuns in a sports car, you'll just have to see the movie yourself. Oooh, this looks cool! And I'm really loving that green dress! 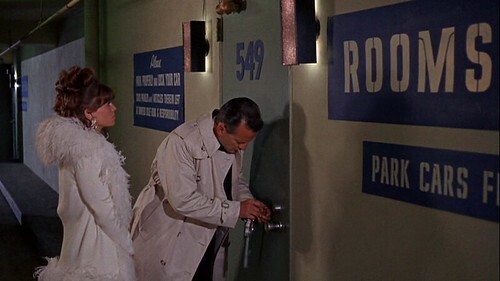 Petulia is one of my favorite 60s films. Every time I re-watch it, I find something I missed the first time around. 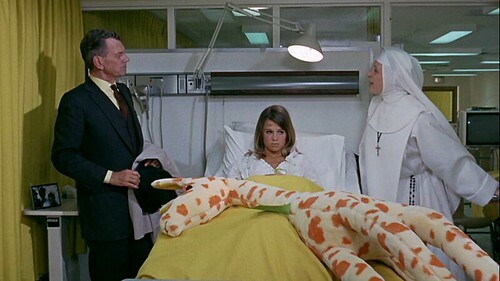 I always enjoys George C. Scott, but thought PETULIA was a little on the artsy-fartsy side. 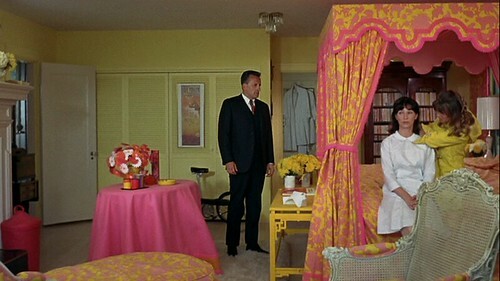 That pink and yellow bedroom just made it on my netflix queue. Along with that black and white dress/tie thing at the grocery store. Ivan- May be one of my favorites, too. Rick- Um. 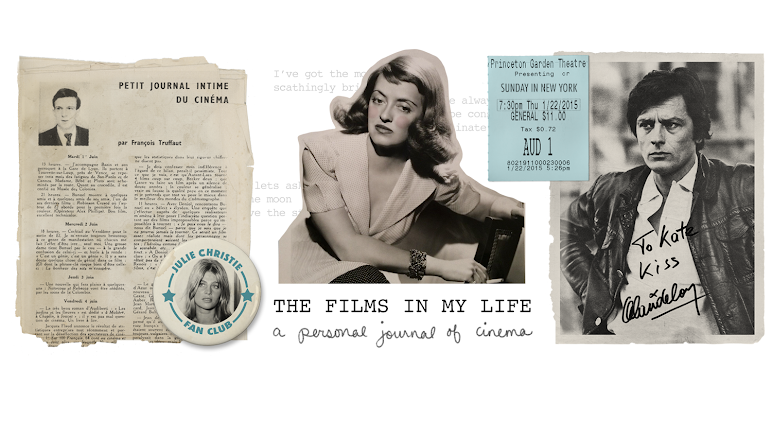 I happen to enjoy artsy-fartsy films. 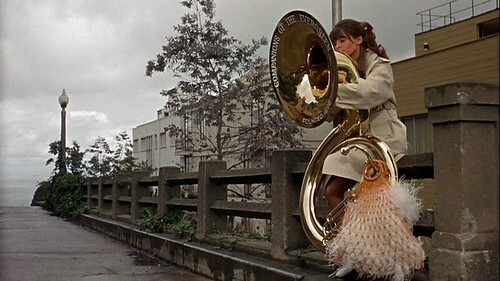 I've already mentioned Petulia as one of my favourite films. 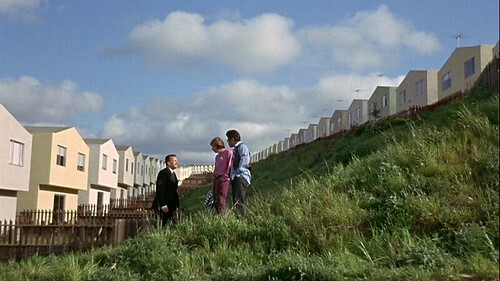 In fact, I have to disagree with those who claim The Graduate (which I also love) is the quintessential Sixties film. To me it is Petulia. After all, The Graduate could be made in almost any era with little change. 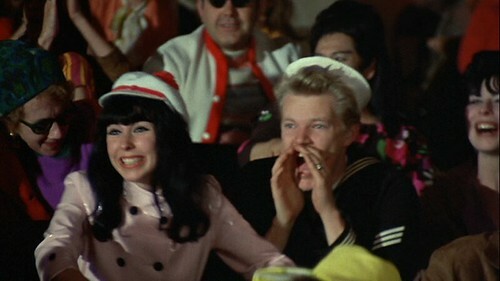 Petulia is a film that could only be made in the Sixties! 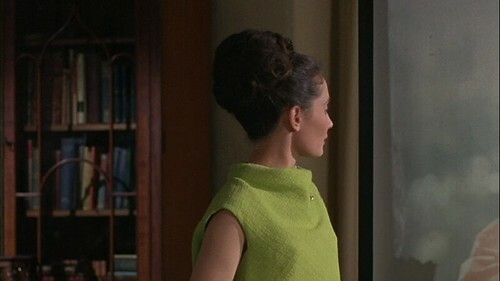 I'm loving that green, cowl neck dress. Also, the pink and yellow checked coat towards the end is fantastic. 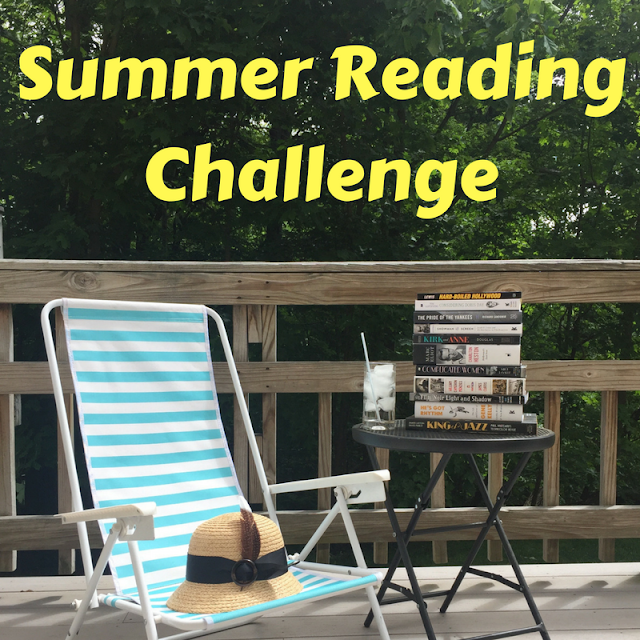 Thanks for posting the pics! Such fun to see b/c I've never seen Petulia.